A unique showcase of contemporary Western Sydney writing,True West is your chance to catch the best and brightest right from the start. Come experience three fresh and dynamic voices before the rest of the world catches on. 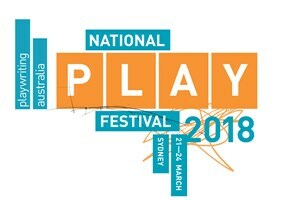 The National Play Festival presents Nick Atkins, James Elazzi, and Monikka Eliah. Nick Atkins is currently Creative Producer of Q Theatre at The Joan, Penrith. In 2017 he was awarded ATYP’s Foundation Commission for his play Wonder Fly. Nick has completed residencies with Blacktown Arts Centre, Urban Theatre Projects, Performance Space, PACT, UNSW and Centre D’Art Marnay Sur-Seine. James Elazzi is an Australian writer who draws from migration stories in order to present various Australian identities and explore the effects of cross-cultural experience. 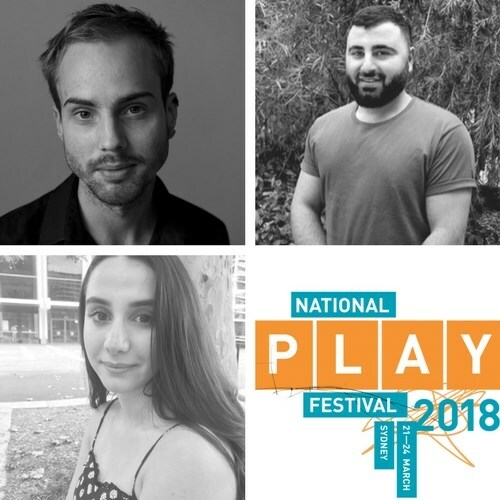 He recently completed the Playwriting Australia and National Theatre of Parramatta's Page to Stage program. Monikka Eliah is an Assyrian-Australian writer. She has presented at the NSW Writers Centre, Studio Stories in Parramatta and at the Wollongong Writers Festival. She was involved in 2017 Digital Writers Festival and the Girls Write Up Sydney Festival.